Sqwincher Sqweeze Freezer Pops are especially perfect for companies with a large workforce looking for an economical and efficient way to supply their workers with the electrolytes needed to work in a demanding environment. Supplying your workforce with Sqwincher Sqweeze Pops and making this as part of your safety program can only enhance the safety of your employees and possibly avoid unnessessary heat-related injuries. 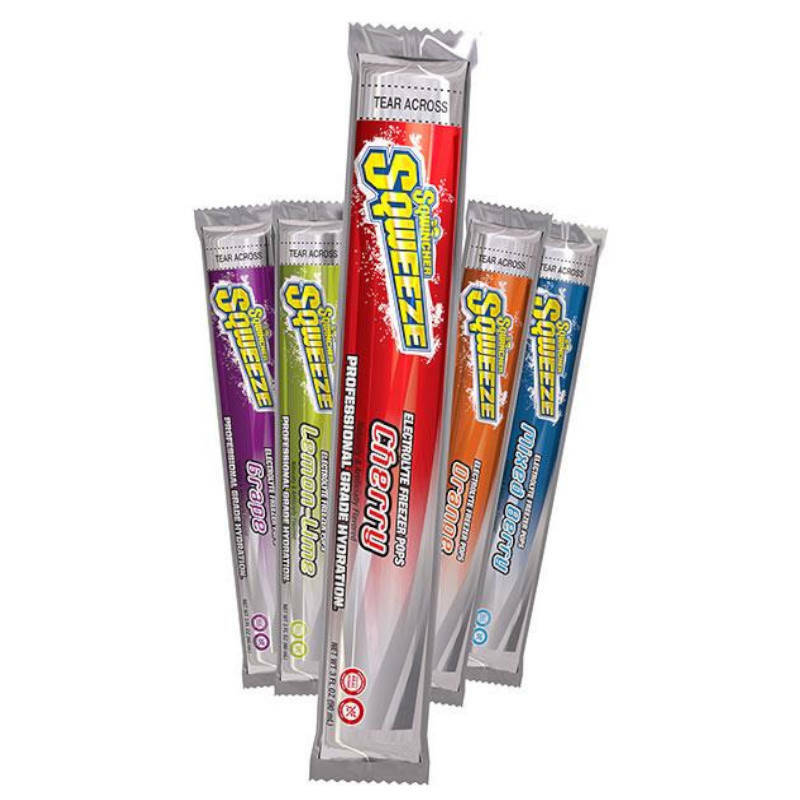 Sqwincher freeze pops come in five delicious flavors: Lime, Orange, Mixed Berry, Cherry and Grape and 150 freezer pops to a case. "Just Freeze It And Sqweeze It"